You can use any etched dies you want. There are so many different options to choose from! Cut out squares of fabric big enough for the die. Cut a piece of fusible web the same size as the fabric. 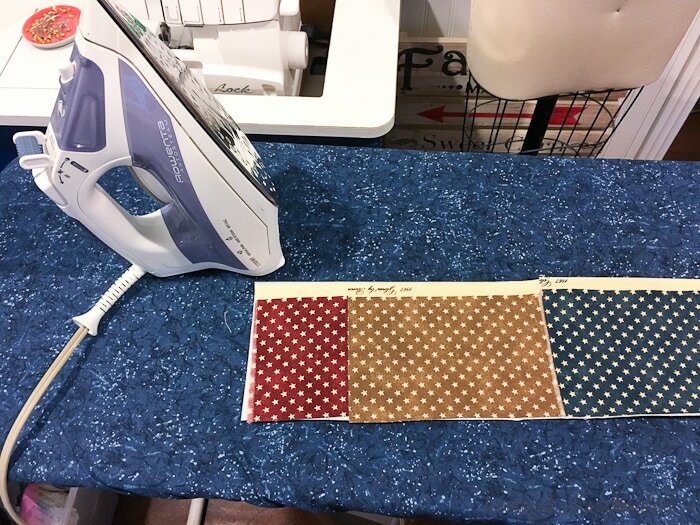 Iron the fusible web to the back of the fabric with a hot dry iron. Use a pressing cloth (a scrap of cotton muslin works perfectly) to protect your iron from any webbing that may try to stick to your iron. Leave the paper backing attached to the fabric. 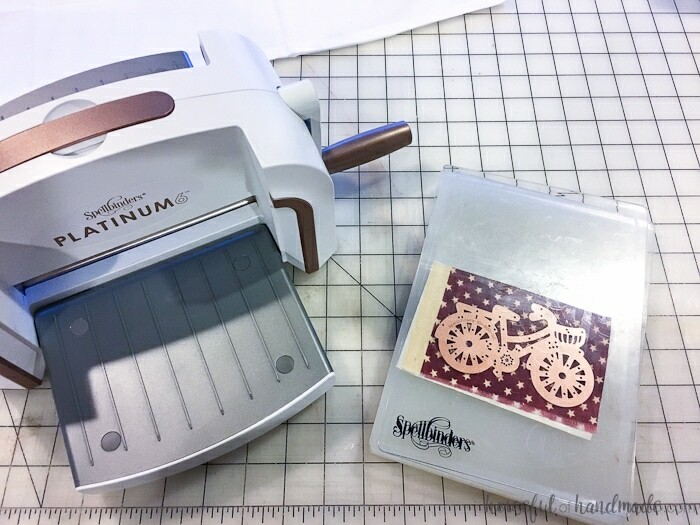 Create your cutting sandwich with the platform on the bottom, then a cutting plate, the fabric (with fusible web ironed to the back with the paper backing still attached), the etched die facing down, then a second cutting plate on top. I learned that some fabric was slightly thicker than the others. It didn’t cut as clean, so I added a scrap of cardstock to the top of the die to create more pressure when cutting. 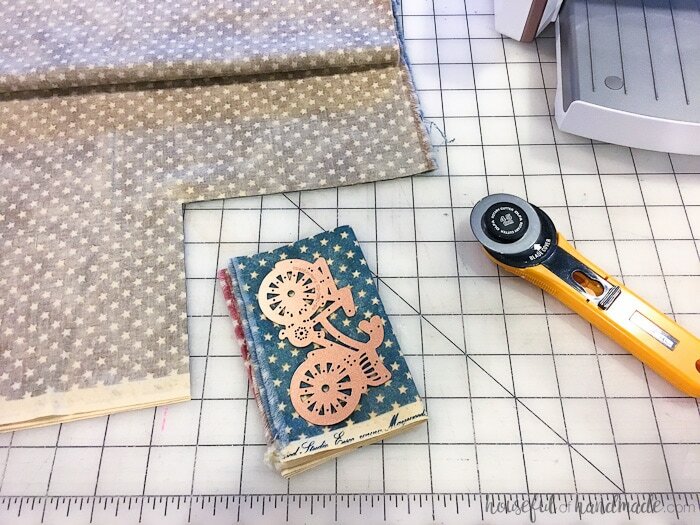 Since I chose a very detailed die, I kept a pair of small snips on hand when removing the die from the fabric. If there was a thread that didn’t get cut, I could snip it before the thread pulled the delicate cut fabric apart. Once all the pieces are cut, pull the paper backing of the fusible web off the back of each design. Then lay the fabric designs out on your tea towel where you want them. 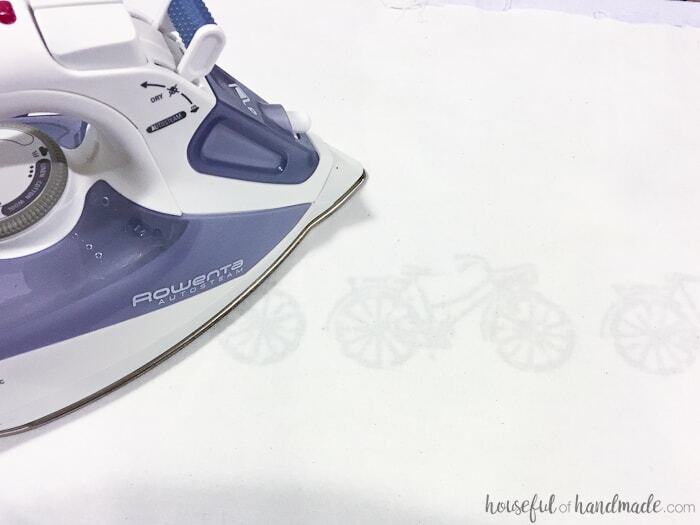 Iron the designs to the towel with a hot dry iron. Use the pressing cloth again to protect your iron and design. Now enjoy your beautiful decorative summer tea towel DIY. I put mine to use with a batch of snickerdoodles to pair with our ice cream dessert! And if you drawers full of pretty tea towels make you as happy as me, you are going to love these beautiful apple & pear print DIY tea towels too. FABULOUS die and WONDERFUL project! Yeah for inspiration! I hope you have fun decorating. Love this idea and your choice of fabric. I love this.. I might just have to give it a try. Thanks for sharing. I hope you do Annette! Have fun. I don’t think I’ve seen a machine do so much.These are so fun.Id have them all over my ????,LOL???? This machine really can do so much, all you need is a little creativity! What fun tea towels! I need a new set for my kitchen… perhaps I’ll try making my own. Thanks for the inspiration! I hope you give it a try! Have fun with it. so cute! loving your blog! I just love this idea and your backstory is awesome too! I love hearing the stories behind a project! These would make great gifts! Baby Showers, Housewarmings, Bridal Showers, Christmas or just because! Just change the die cut images to fit your theme and you are ahead of the game! TFS! Thanks so much! There are so many different ways you can create custom towels. Enjoy creating! 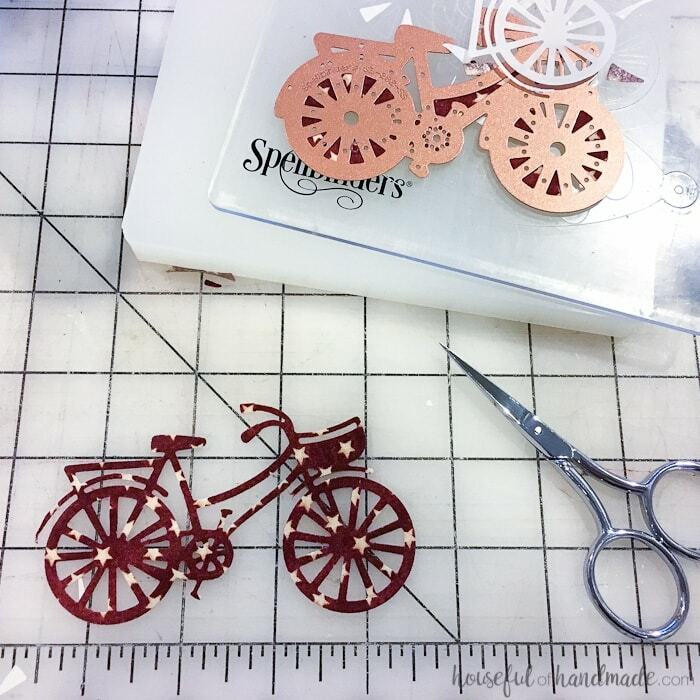 I found myself wondering how you got the stars on those bicycle die cut outs, they look great! Thank you for the tutorial so easy even I could do it! Ha ha! I definitely didn’t put all the little stars on. Wow!! This is so cool, now all I need is getting plain white cloths to make it my own unique ones! Adorable. I love the idea of making custom towels. 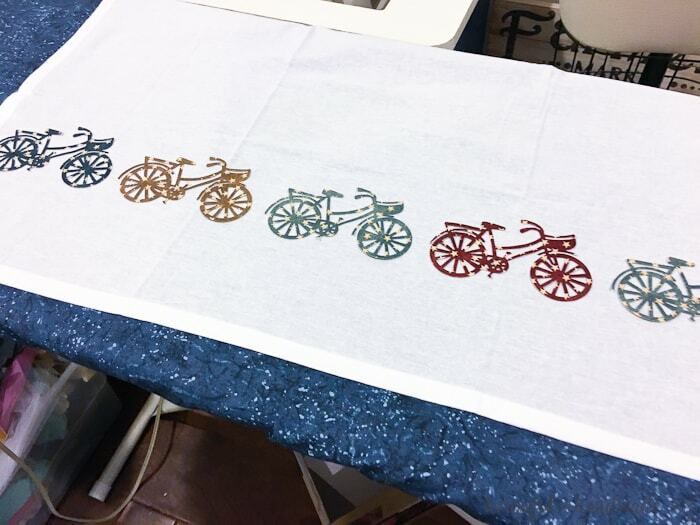 I love any excuse to make custom tea towels too! Super cute and sure is quicker than machine embroidery. Thanks Carolyn. I love the bike die too! Thank you for sharing this towel idea. Love your tea towels. They’re super cute! TFS! Love these towels! I remember my mother and grandmother with theirs! 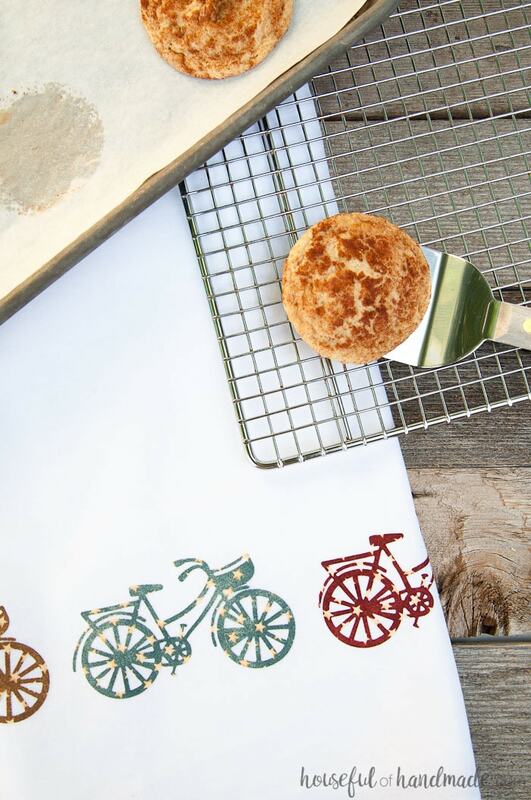 Love your fresh and fun tea towels! I love to put them in baskets full of fruits and sweets! Am going to use this great inspiration!! Perfect for a basket of goodies. Thanks Beverly! Super cute. . I love this project. Great for Wedding gifts as well. 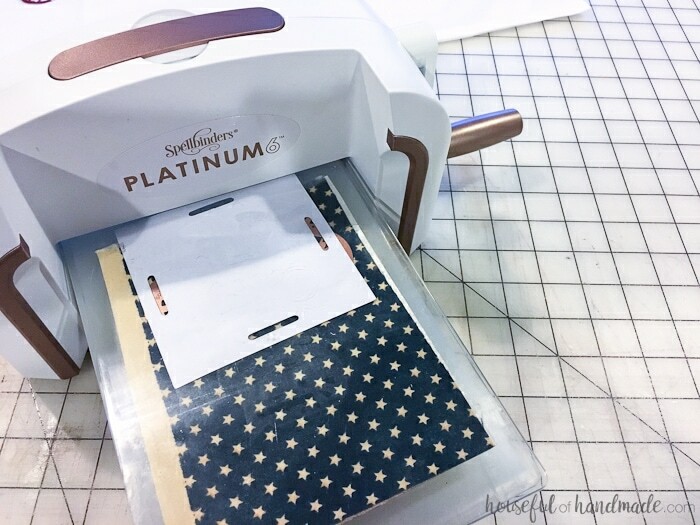 Thank you for sharing and Thank you to Spellbinders for this Giveaway. Thanks for stopping by Gail. I love these for wedding presents! I love these for handmade gifts. You could make so many beautiful towel combinations. Thanks for your beautiful comment! Love that little bike!! The material you chose is adorable! Thanks for sharing! Thanks Cathy! The little bike die is one of my favorites. So glad I found a reason to use it. around that my grandma and mother made. and bring back the nostalgia. thanks for the directions and the idea. Tea towels are so nostalgic. Definitely make some new ones to use! Thank you! I’m so glad you are visiting all the way from Germany! These tea towels turned out so good! 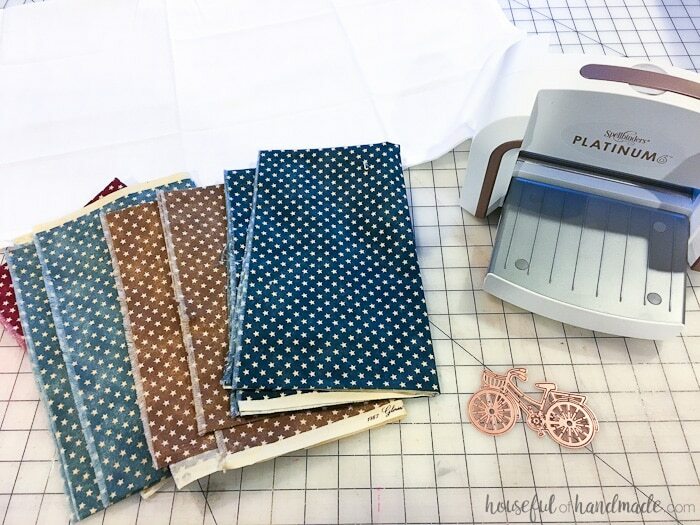 Love the bicycles and star fabric!! Hiya! This is Sandi, Decor8yourlife, your fellow BlogHopper. Nice to meet you! Love your blog and oh what great ideas! Thanks so much for saying hi Sandi!